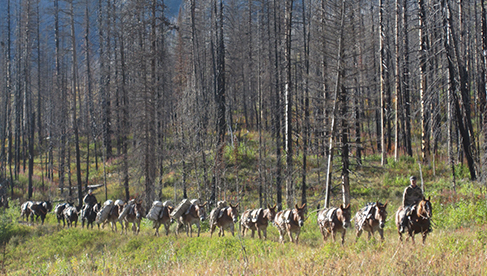 7 Lazy P Outfitting and the Crary family, based from the historic 7 Lazy P guest ranch, offers summer pack trips into Montana’s Bob Marshall Wilderness along with a variety of fall hunting opportunities and special ranch events. 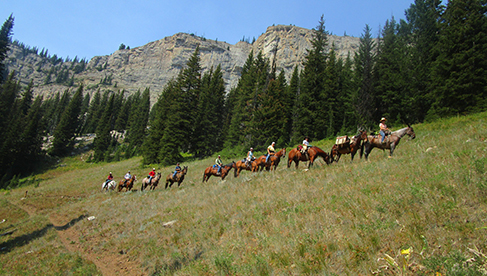 The guest ranch is remote, but easily accessible.The 7 Lazy P is unique in that it is the only pack station in the Bob Marshall Complex located directly on a trailhead. You’ll feel the history and solitude as you escape the hectic world and enter into a new dimension of peace and quiet. 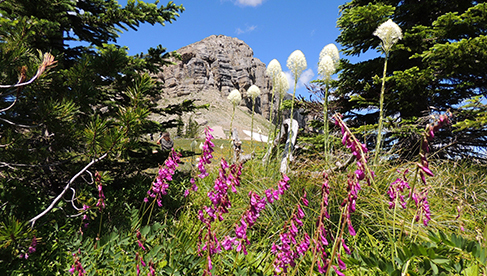 A trip into the Bob will refresh your soul and energize your senses as a magnificent landscape unfolds before you around every bend in the trail. 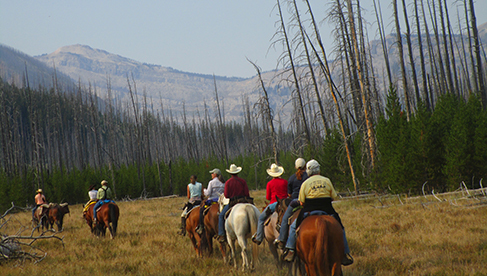 To see, hear, and feel the wilderness from the back of a horse is truly astounding. The top-notch crew and stock of the Seven Lazy P Outfitting will safely guide you through the remote wilderness. 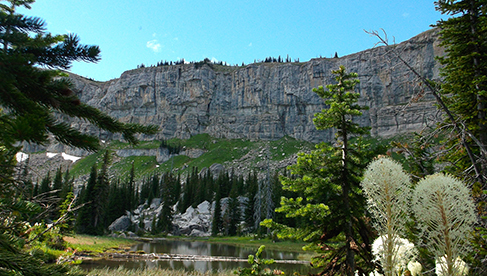 The Bob Marshall Wilderness is 1.5 million acres of unspoiled, wild country. No motors of any sort are allowed in this area. 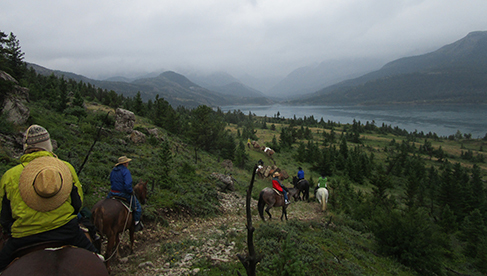 Our full-guided horse pack trips to iconic destinations in this magnificent place offer a vacation like none other. Your experience will be enhanced with the camaraderie and guidance of our experienced crew. You will also develop a deeper sense of wild country and an appreciation of traditional packing skills. Be ready for your senses to come alive with the sights and sounds that only nature can reveal to us. 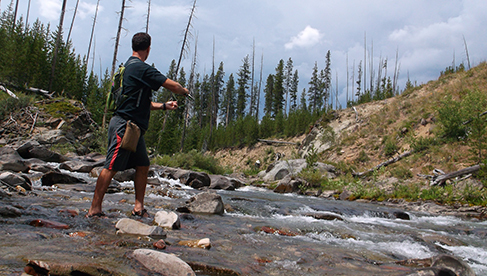 Scenery, wildlife, geology, and Montana's big sky are the backdrop for fishing natural streams, hiking to places you never dreamed you could get to, capturing photos, relaxing and unplugging. 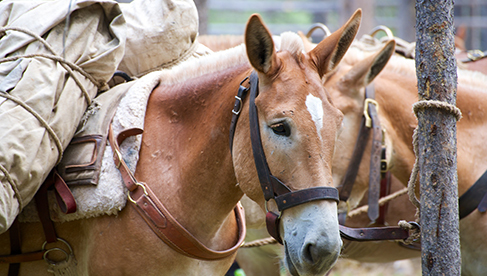 Seven Lazy P's exceptional string of mules carry all the gear for your trip. 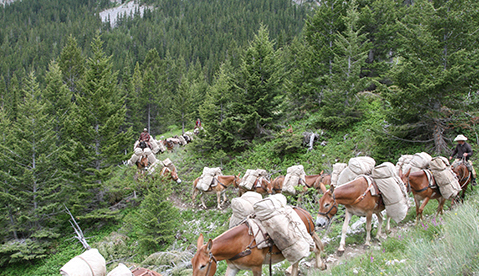 Your crew will almost magically assemble a complete camp from piles of gear. 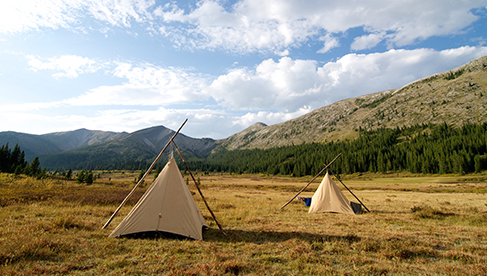 You will find quality tents, camp chairs, a custom kitchen, and good equipment. We take pride in every aspect of our operation and feel the details are what make a successful trip, whether caring for the guests, the stock or the equipment. 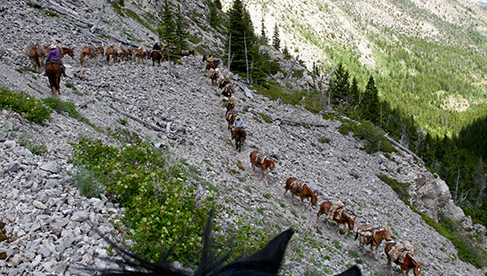 You can expect delightful, western cuisine for your backcountry fare. Our cooks turn out fresh, homemade meals, featuring our very own grass fed beef. Bring your own wine, beer, or liquor for an added evening refreshment. You will have plenty of time for conversation and relaxing around an evening campfire. Most of the trip itineraries spend two nights in each camp so there is a layover day to enjoy fishing, hiking, or just reading a book and taking a nap. Check with us on your trip’s exact itinerary as they do vary some. 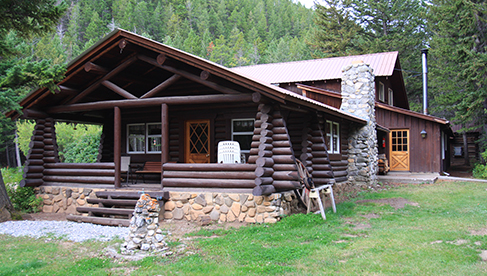 7 Lazy P Outfitting is based out of the 7 Lazy P Guest Ranch which is located in the Lewis & Clark National Forest west of Choteau. 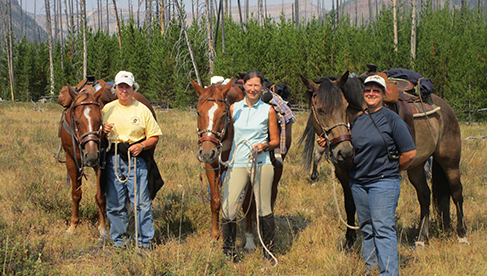 Guest cabins, a historic lodge, and horse facilities in a forest setting makes this a unique location. It has been in continuous operation since 1931. 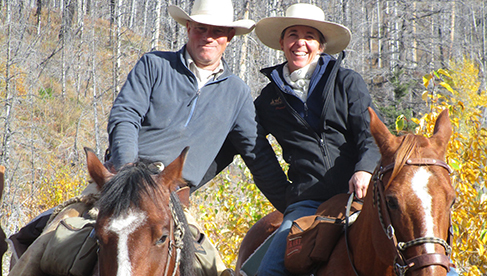 Come stay at the guest ranch or make your next adventure the Bob Marshall Wilderness! Hearty, homestyle meals using regional food and our own grass fed beef. 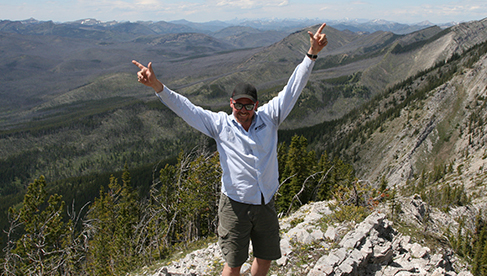 7 Lazy P Outfitting is located off the route between Glacier National Park and Yellowstone National Park along the Rocky Mountain Front. There is a great dinosaur museum nearby at Bynum. Great Falls has the Charlie Russell museum and Lewis & Clark Interpretive Center. 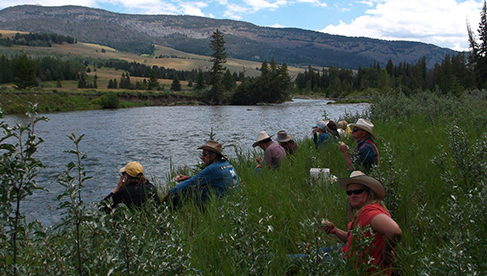 Choteau is our hometown with a variety of restaurants and shopping. This is a great place to explore.